BEWARE! The Ransomware wave is far from over. Just as the world’s been preparing or recovering from last May’s ‘WannaCry’ Virus, that took the computers of about 150 countries hostage in exchange for a payment via the bitcoin system, another ransomware virus surfaces the online world. This time, hitting more big companies. Recently, the world’s been hit again, with a ransomware virus called ‘Petya’. Targeting companies like the Ukrainian International Airport, several banks and a power grid. The biggest oil company in Russia, the Rosneft and several banks as well. The global shipping firm Maersk. The world’s biggest advertising company from Britain, WPP. And more. 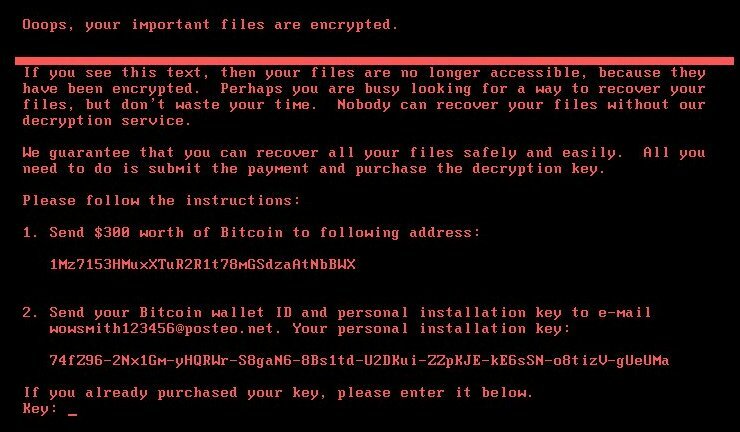 Much like the ‘WannaCry’ virus last May, ‘Petya’ locks your computer and gives you a series of instructions that will eventually lead you to pay a $300 worth of Bitcoin credits. Although there are still no suspect as of today, researchers said that releasing the ‘Petya” virus was rather done not for making money but just to cause damage to big companies. ‘Petya’ marks as the second big wave of this ransomware storm. Make sure you’re protected from any cyber threat! Acunetix is a Website Vulnerability Scanner for websites and web applications that might contain vulnerabilities, which later on could lead to the inevitable hack. This software blocks all possible loopholes that hackers might use as gateways to your websites, and later on to your computers. They say prevention is better than cure, and apparently, it doesn’t just work on human beings. So prevent the virus now! Go to https://www.acunetix.com/ for more details!